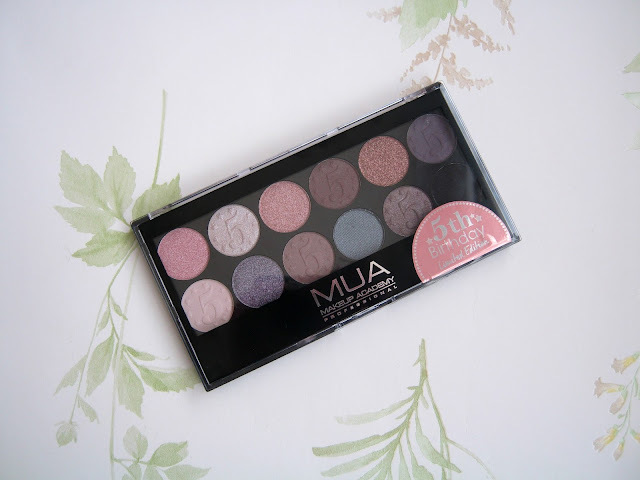 It's now been nearly 4 years since I started this blog and throughout that whole time MUA is the brand that has featured the most heavily on here so I'm so happy to be celebrating their 5th birthday with them by sharing this stunning palette with you all. One of the first few posts that is on my blog is a Top 5 MUA Products post and still after a few years it remains one of the most popular posts on here so it clears that you all love MUA as much as me! Ever since Makeup Revolution made their entrance I definitely haven't seen as many posts about them unfortunately but personally I am still using and loving their products so it is nice to see some new releases. I've got a few posts planned alongside this as well, all reviews of new products from one of my all time favourite brands so look out for them, there is one product in particular that I can't wait to share with you! For now though let's stick to this special birthday palette! Like many other of my favourite MUA palettes this comes with 12 shades held inside their classic packaging that is simple and practical but not cheap looking. I continue to love the clear window that allows you to see the shades when the palette is shut, it makes looking for the right one in a sea of makeup very easy. As always it comes with a sponge applicator that I tend to use for swatches so don't throw yours away, they can be very handy! 6 of the 12 shades have detail on them, the number 5 and stars, which gives the palette a special touch and sets it aside from the rest in the extensive range. I think MUA have done really well in building up a palette with such a good mixture of colours, it enables you to create an endless amount of looks by combining different shades. 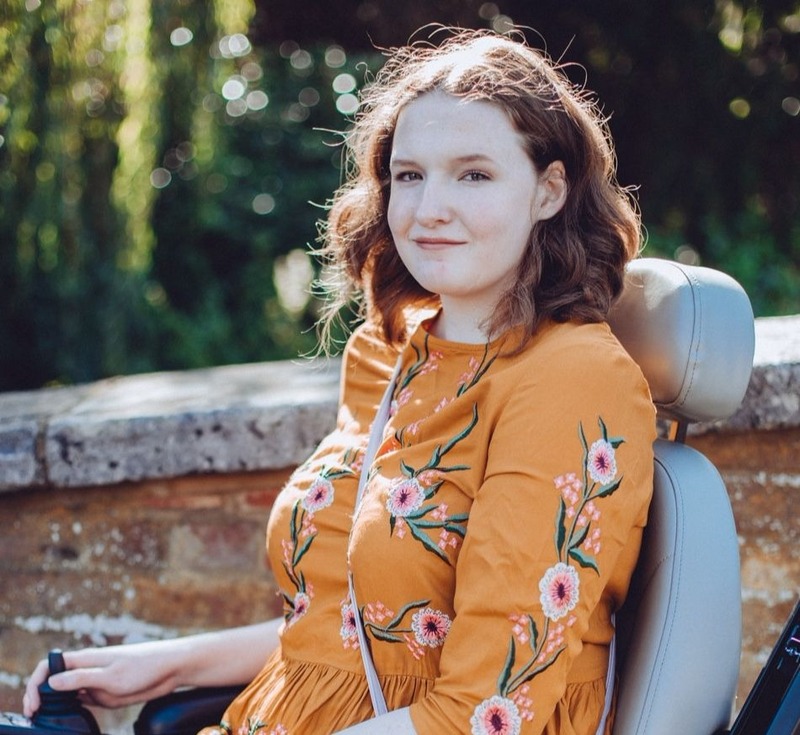 The variety of shades also means that you can create more natural daytime appropriate looks and also something a little bolder for a night out, the balance is perfect. 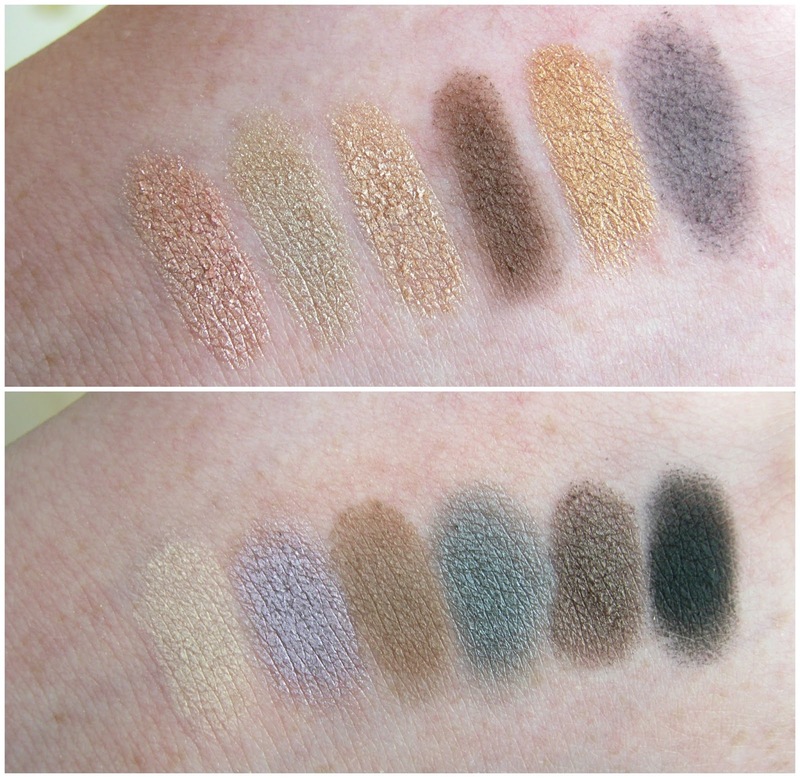 There are 5 matte shades in the palette and the rest are shimmery, some more so than others. I remember when MUA first started doing matte shades they weren't all that great but now years on I have definitely seen massive improvements, the shimmer shades do always seem to be my favourite though! 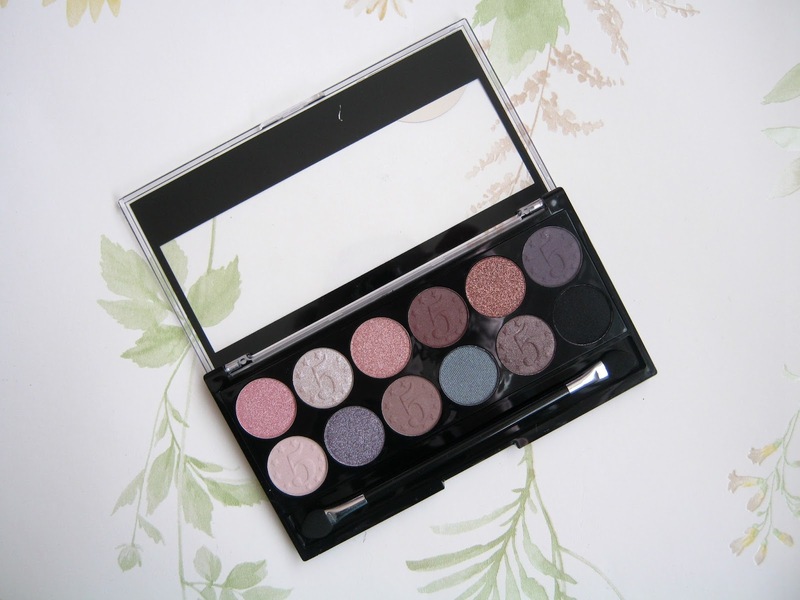 The formula of each eyeshadow is the same as what I'm used to when it comes to MUA eyeshadows, they're soft and feel almost creamy meaning that they blend so easily. Be sure to tap any excess product off your brush before application though as the softness of them can lead to a little bit of excess build up and fall out with some of the more shimmery shades. With a primer these last just about all day, there's a little bit of fading here and there but I find that with some of my more expensive eyeshadows as well so I can't say it bothers me. I've been loving using the top row to create a softer and more natural look, perhaps sometimes incorporating a shade or two from the bottom row for more definition every now and then. I have to say though the 4th shade along on the second row stands out for me a lot, not only is it a beautiful shade of blue but it is also so easy to work with and the finish of it is stunning. The same goes for the lilac shade on the 2nd row, it has to be a close second. I think there is definitely something for everyone in this palette and I'd be surprised if you were disappointed by it! It is a must have product for any MUA fan and I'm very happy to have it joining my usual MUA favourites in my makeup bag. At only £4 it's a product that you really can't miss out on, get your hands on it soon though as it is limited edition! If this is a product that you want to get your hands on I would definitely recommend that you take advantage of an offer Superdrug have going on at the moment. If you spend £8 or more on selected MUA Cosmetics products you get to take home this palette as well, for free! I'd recommend going for the new Sweet Sheen Lip Tints to make up your order to £8, I'm going to be reviewing them very soon so look out for that post! Let me know in the comments below what your favourite MUA product is in celebration of their 5th birthday! 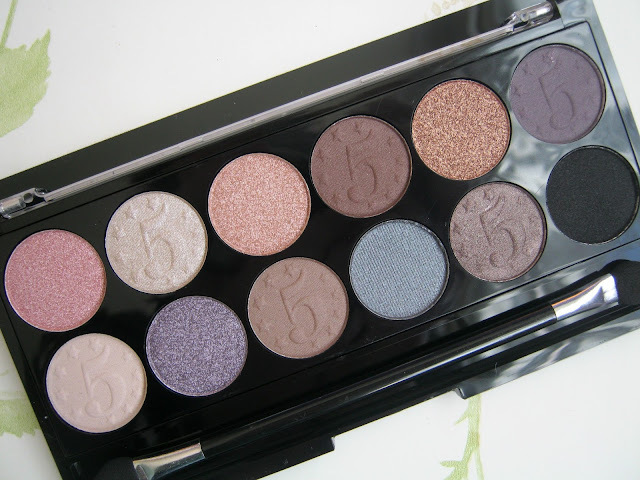 Be sure to look out for a FOTD featuring this palette as well to get a better look at how the shades look on!